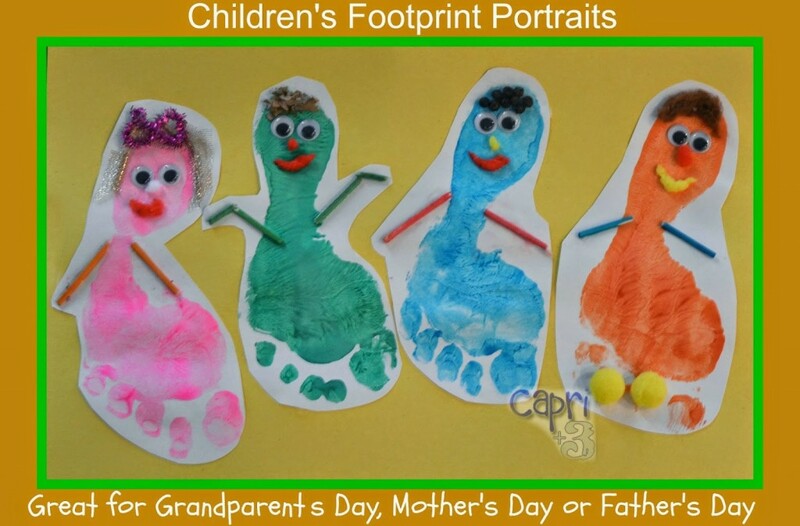 Children’s footprint portraits are easy for them to make and are such a cute gift for Grandparent’s Day, Mother’s Day or Father’s Day. I used to do a lot of hand and footprint art with children when I was a recreation director. The supplies are simple and the results are always cute. We had two footprint projects planned, the Family Footprints and a Footprint Children’s Portrait for Grandparents Day, so I had them each make an extra footprint. If you plan on doing a few footprint crafts close together, I discovered it is much easier to have them make more than one than to do the set-up and clean-up twice in a week. Use Decorative elements you already have at home. The possibilities are endless. Make the footprints and allow them to dry. If you would like advice on technique, check out the Family Footprints post. Depending on age, have your children decorate using supplies you have at home, helping as needed. I cut the pom poms into smaller pieces at their request to make noses, mouths and hair. It adds a nice textural element and is easy to do. Capri preferred the recycled gold ribbon to the yellow pom-poms so I cut it up for her to use as hair. Xayden liked the idea of using peppercorns for his curly hair. Ryder used a piece of brown pom pom for hair and Grayson used the recycled gift bag filling to create his hair. They attached their decorations with white glue. I then cut out their finished portraits after they dried and glued them onto another piece of construction paper. It would look nice framed too. This is such a fun and easy project. I look back on their previous hand and footprint art work and can’t believe how much they’ve grown! These are such a cute idea! Any Mom would love these self portraits. Thanks for the ideas! 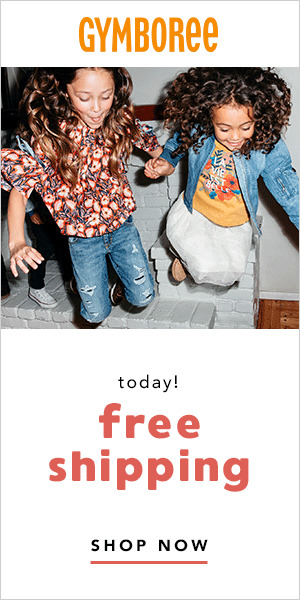 I think they would make a fun Mother's Day gift. There are so many occasions these could be used for gifts. How adorable! I keep thinking we need to make crafts for the grandparents, especially as my dad and his wife recently moved into a new home, and I'd like to send them a housewarming gift. This is getting me inspired. I think footprint portraits would make a wonderful housewarming present. When they are this little, their prints are adorable.